IDC employs a number of assets that set us apart from other market research firms. Our comprehensive coverage promotes understanding of multiple industries. Additionally, our "glocal" research model, which is our study of both local and regional markets "on the ground," helps us to understand the nuances of local country markets while improving our global coverage. By promoting research standards and methodologies worldwide, we ensure forecast and analysis consistency across a wide range of geographies and coverage areas. How well are you transforming your IT organization to drive business growth? IDC Energy Insights assists energy businesses and IT leaders in making more effective technology decisions by providing insightful fact-based research and consulting services. Our global research analyzes and advises on business and technology issues facing the utility and oil & gas industries. 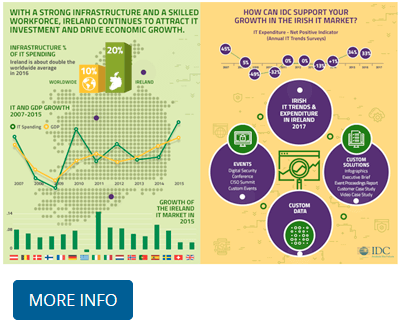 IDC Government Insights assists Government and IT leaders in making more effective technology decisions by providing insightful fact-based research and consulting services. Our global research analyzes and advises on business and technology issues facing the Federal/Central and local/provincial Governments. IDC Health Insights assists health businesses and IT leaders in making more effective technology decisions by providing insightful fact-based research and consulting services. Our global research analyzes and advises on business and technology issues facing the payer, provider and life sciences industries. IDC Manufacturing Insights assists manufacturing businesses and IT leaders in making more effective technology decisions by providing insightful fact-based research and consulting services. Our global research analyzes & advises on business and technology issues associated with design, development and distribution of goods across markets. IDC Retail Insights assists retail businesses and IT leaders in making more effective technology decisions by providing insightful fact-based research and consulting services. Our global research analyzes and advises on business and technology issues facing the retail industry.